The NHL continues its busy schedule Sunday with seven games after an eight-game showcase on Saturday, including a rare outdoors game in which the Washington Capitals defeated the Toronto Maple Leafs 5-2 in the Stadium Series at the U.S. Naval Academy. With so many games, teams will continue to make roster moves throughout the day, so check back to see what teams are doing. The Arizona Coyotes announced they have recalled defenseman Andrew Campbell from the Tucson Roadrunners of the AHL. The 30-year-old veteran has been recalled several times this year by the Coyotes as an emergency defenseman, but has not made it into a game this season. He has played 42 career NHL games and has two goals and four assists in 47 games for the Roadrunners. AZ Sports Craig Morgan writes that Campbell was recalled as defenseman Alex Goligoski is expected to miss Monday’s game as he and his wife are expecting the birth of their second child. The Buffalo Sabres announced they have recalled forward Kyle Criscuolo and defenseman Brendan Guhle from the Rochester Americans of the AHL. Criscuolo, who signed a two-year, $1.3MM contract with the Sabres this offseason has put up solid numbers with Rochester as he’s put up 15 goals and 34 points in 50 AHL games. The 25-year-old out of Harvard University has appeared in eight games with Buffalo, but hasn’t gotten on the scoreboard yet. Guhle, the team’s second-round pick in 2015, is having a solid season in Rochester as well as he’s scored eight goals and 16 assists in 48 games. He has one assist in two NHL games he played in January. The Buffalo News’ Mike Harrington showed surprise at the transaction as the team indicated that they were not going to make any recalls. As reported earlier, defenseman Marco Scandella looked ready to go in practice Sunday despite suffering an upper-body injury on Friday. Evan Rodrigues is still suffering from an upper-body injury he sustained Wednesday, but the team was using Benoit Pouliot at center out of position. No word if another injury has altered the team’s plans. Though Evander Kane is clearly the one to watch—especially after yesterday’s report that the Pittsburgh Penguins were interested in him—the Buffalo Sabres have several players who could have different crests on their sweaters over the next few weeks. Craig Custance, in his Trade Deadline Primer for The Athletic, reports that the Sabres are also receiving interest in Benoit Pouliot, Johan Larsson and Jacob Josefson. Pouliot has long been expected to make a big impact in the league, but after his latest disappointing season in Edmonton was bought out in the summer. Buffalo jumped on the chance to bring in the fourth-overall pick from 2005, and signed him to a one-year $1.15MM contract on July 1st. Pouliot has been better than last season, with 11 points in 39 games, but that’s not saying much. The 31-year old has been killing penalties for the Sabres, and still brings fine possession numbers, but there isn’t a lot to be excited about even with his relatively low salary. Larsson and Josefson bring much of the same, just in younger bodies. With six and three points respectively, neither is going to change the offensive outlook of an acquiring team. What they can do, is give you responsible minutes on the fourth line and penalty kill, while providing some depth down the middle. Both can play center reasonably well, though neither are very good in the faceoff dot. In all, every player not named Jack Eichel is likely available for the right price in Buffalo. The problem is there isn’t a lot of value in many of them, because of either poor performance, age or salary. Kane remains their big chip to make a splash at the deadline, but expect them to be very busy selling off smaller pieces over the next few weeks. The Canucks are set to welcome one of their highest-paid forwards back in the lineup tonight. Ben Kuzma of the Vancouver Province reports that winger Loui Eriksson is expected to be activated off LTIR and suit up against San Jose after missing the last 12 games with a lower-body injury. He’s expected to play alongside the Sedin twins. Eriksson’s first season with Vancouver in 2016-17 was a disappointment as he posted his lowest point total since his rookie year back in 2006-07 and he was off to a slow start before being injured this season as he had just one assist in three games (plus one shift in a fourth contest before suffering the injury). That’s not the type of production the team was expecting when they handed him a contract that carries a $6MM cap charge through 2021-22. Sabres winger Benoit Pouliot will not be suspended for an incident that occurred late in Friday’s game on Panthers defenseman Keith Yandle, the Department of Player Safety announced (Twitter link). He had a hearing with the league earlier today but after reviewing the angles of the hit, it was determined that his hit on Yandle did not involve the head being the principal point of contact. The Flames could be getting defenseman Travis Hamonic back in their lineup in the near future. Postmedia’s Kristin Odland notes that the blueliner skated on Friday and is slated to participate in a full practice with the team tomorrow. Hamonic has been out of the lineup since suffering a lower-body injury against the Penguins on November 2nd and ranks third on the team in average ice time per game. Calgary is also expected to have goaltender Mike Smith available for their next game on Monday despite struggling with his glove hand at times on Thursday night. Red Wings winger Justin Abdelkader has a fractured cheek, MLive’s Ansar Khan reports (Twitter link). He’s expected to see a specialist on Monday. Head coach Jeff Blashill notes that the injury shouldn’t keep the 30-year-old out of the lineup for long. Abdelkader is off to a decent start this season with nine points (2-7-9) in 17 games while averaging just shy of 17 minutes per game in ice time. It’s something that often goes unnoticed, but with the cap showing minimal growth the last few years, teams are starting to feel the crunch more than ever. Buyouts have become more common, especially with players with under three remaining years on their contracts. And it’s not just the big name busts that have seen the ax lately – we’ve seen lesser names at lesser money take the fall for their respective teams, then needing to scramble for work elsewhere in the league. Additionally, salary retention in trades has become a more utilized tactic as of late. Teams with “unmovable” contracts have offered to retain part of a poor contract in order to entice a team into giving them some relief. All this said, some teams have been better with foresight than others. Some teams have shown a track record of being entirely unable of handing out poor contracts over the past five or so seasons. Considering many teams showed some progress in being more frugal this off-season, it seems a wise time to review the dead space every team has accumulated, either due to poor management decisions or poor luck. After compiling the list, it became clear that utilizing these options isn’t a complete hindrance to competing in the NHL. In fact, most clubs have between $1 MM and $3 MM in dead space. That said, of the teams that have not needed to utilize the buyout or retention options, there has been a great deal of success. And among the five worst offenders, the Leafs, Hurricanes, Blue Jackets, Avalanche, and Coyotes, none has moved past the first-round in multiple years. It’s hard to draw massive conclusions without taking the context of each individual situation into account, but there is something to be said for making every dollar of cap space count. Perhaps this is merely a byproduct of past success rather than an indicator of future success, but considering how amenable many managers have become to the option, it bears consideration. The Buffalo Sabres have signed recently bought-out Benoit Pouliot to a one-year, $1.15MM deal according to Bob McKenzie of TSN. Pouliot was the fourth-overall selection in the 2005 draft, behind Sidney Crosby, Bobby Ryan and Jack Johnson (and ahead of Carey Price at #5) and has never quite found the success that preceded him. In 551 games, he’s registered 244 points and hit a low point last season with just 14 in 67 games for the Edmonton Oilers. Buffalo will bring him in on an extremely cheap deal however, and considering the extremely low risk he could be one of the better signings of the offseason. Even if the 30-year old reverts to his 30-point self, he’ll be a steal for just over $1MM. A strong possession player, it was clearly time for him to move on in Edmonton and he’ll try to rebuild his value in the Eastern Conference. The Edmonton Oilers continue to clear cap space, placing Benoit Pouliot on unconditional waivers today for purposes of a buyout. The forward has two years remaining on his contract at $4MM per season, meaning a buyout cap-hit will be structured as follows. Pouliot’s career in Edmonton will end on a sour note, scoring just 14 points in 2016-17. He fell completely out of favor with the coaching staff, and at 30 seemed to see his game take a considerable step backwards. The fourth-overall pick from 2005, Pouliot has never been able to keep up with his draft contemporaries. Following Sidney Crosby, Bobby Ryan and Jack Johnson, and selected one spot ahead of Carey Price, Pouliot has bounced around the league and registered a career-high of 36 points (last year and in 2013-14). Interestingly, Pouliot has long put up solid possession metrics and even recorded a better than average career shooting percentage. Despite that, and the prime ice time he received in Edmonton prior to this year, he never could be relied upon as a top offensive producer. His career is far from over, as he’ll surely garner attention from several teams around the league now that his price tag has come considerably down. Likely having to settle for a short-term deal on a relatively low salary, teams will be interested in his upside as a third-line winger who could move up if he can find the right fit. It will be interesting to see if he can find a team with it’s eyes on the postseason, or if he’ll rebuild along with a young team. 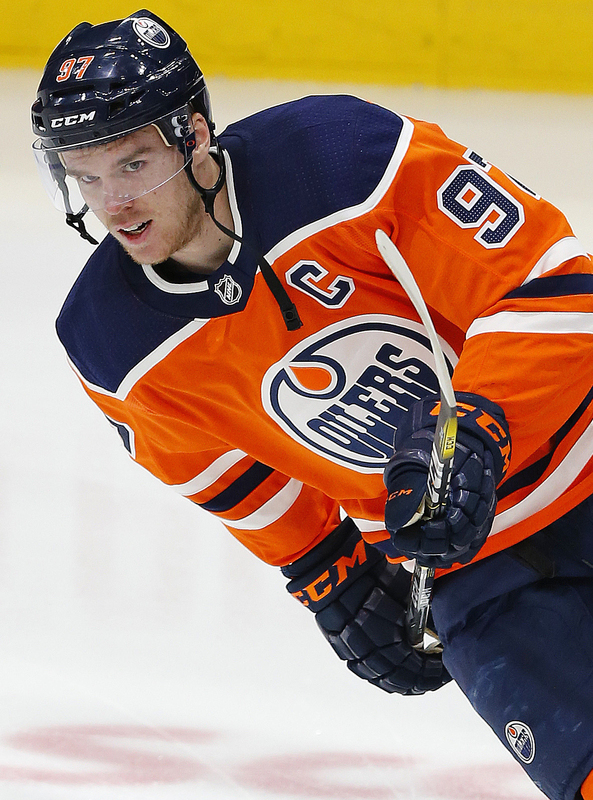 For the Oilers, saving $2.6MM for the next two years is important as they try to get both Leon Draisaitl and Connor McDavid under contract long term. Recently it was hinted that McDavid might cost as much as $13.25MM per season, and with Draisaitl looking like he might cost as much as $8MM each year, they need all the room they can get. It’s why they moved out Jordan Eberle—though, immediately committed most of that room to Kris Russell—and why they’ll have to look at other cost saving measures in the future. Pouliot was simply not needed on this team, especially as younger players like Drake Caggiula step into bigger roles. 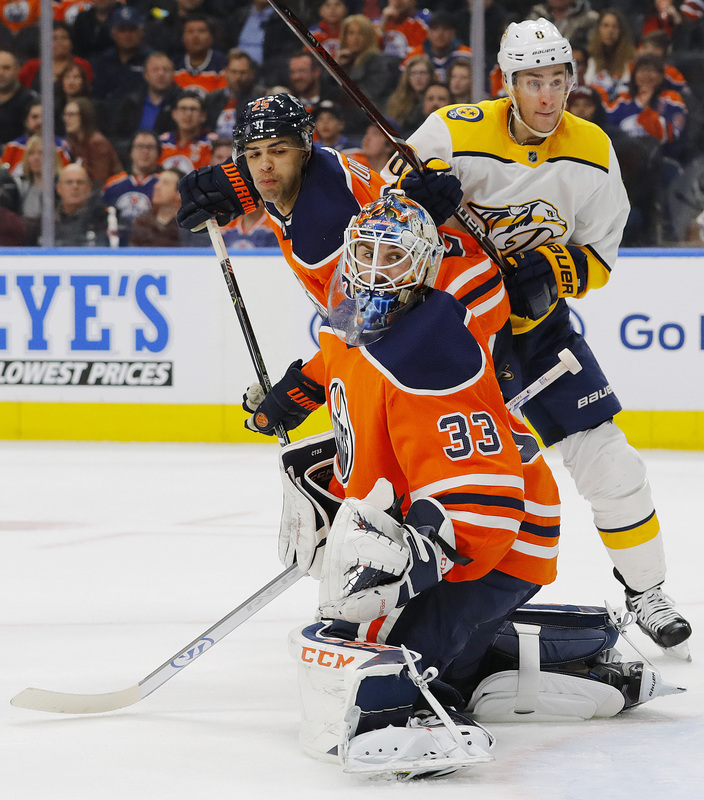 The Edmonton Oilers were eliminated by the Anaheim Ducks in Game 7 on Wednesday night; now comes the post-season autopsies and plans for the coming summer. 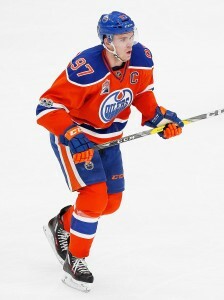 The face of the franchise and perhaps the league, Connor McDavid is eligible to sign an extension on July 1. Pending-RFA Leon Draisaitl lead the Oilers in playoff scoring after finishing eighth in the NHL during the regular season. Those two players will go from entry-level contracts to somewhere between $16-20MM by next summer. The upcoming McDavid contract has already been the subject of much digital ink. Now, Draisaitl’s breakout season has lead to questions about what he’s worth. At the beginning of the year, the debate was bridge-deal or long-term. After a 77-point campaign, it’s clear that the Oilers will be looking long-term with their young star. Over at Sportsnet, Jonathan Willis explored previous contracts for comparable stars. Based on contracts signed by players like Taylor Hall, Jordan Eberle, Anze Kopitar, and Johnny Gaudreau, Willis writes that Draisaitl’s new contract ought to be in the $6 to $6.5MM range. However, because of Draisaitl’s 37-game rookie season and the influence of McDavid, Willis notes that both sides have leverage. Other free agents include Kris Russell, Zack Kassian, and Matt Hendricks. Hendricks will certainly be off the books, clearing close to $2MM. Russell will be interesting, as he’s the only member of the regular top-six who’s not under contract next season. If the Oilers want to improve their blue line, then Russell’s spot is the clear choice to upgrade. On Thursday morning, the Oilers announced that Draisaitl will join Germany at the IIHF World Championships in Paris, France, and Cologne, Germany. The native of Cologne ought to help Germany’s chances, as the team has just one regulation win in four games so far. It’s been a busy season for Draisaitl, who has played 104 games since mid-August beginning with the Olympic Qualifiers, the World Cup of Hockey, all 82 NHL regular season games, and then 13 NHL playoff games. Eberle’s poor regular season and playoffs may mean he’s on the way out. He didn’t score a single goal during the playoffs, and was even outscored by Nashville goaltender Pekka Rinne by a score of three assists to two. As Sportsnet’s Luke Fox puts it, “You’re selling low on Jordan Eberle, but you’re still selling, right?” Provided the Oilers can find more scoring depth on the right wing, then expect Eberle to be on his way out. Fox suggests Carolina, New Jersey, and Vegas as possible trade partners. Left-winger Benoit Pouliot also struggled mightily this season, with just 14 points in the regular season and none in the playoffs. He also comes at a $4MM price tag, which makes any trade unlikely. He’ll be exposed to Vegas, with perhaps a prospect or pick offered as a sweetner. Failing that, a buyout could be the next option. It was a bad year, but Pouliot has previously scored a solid rate while being an aggressive forechecker and good penalty-killer. His penchant for bad penalties got him in coach Todd McLellan’s doghouse and he couldn’t play his way out.